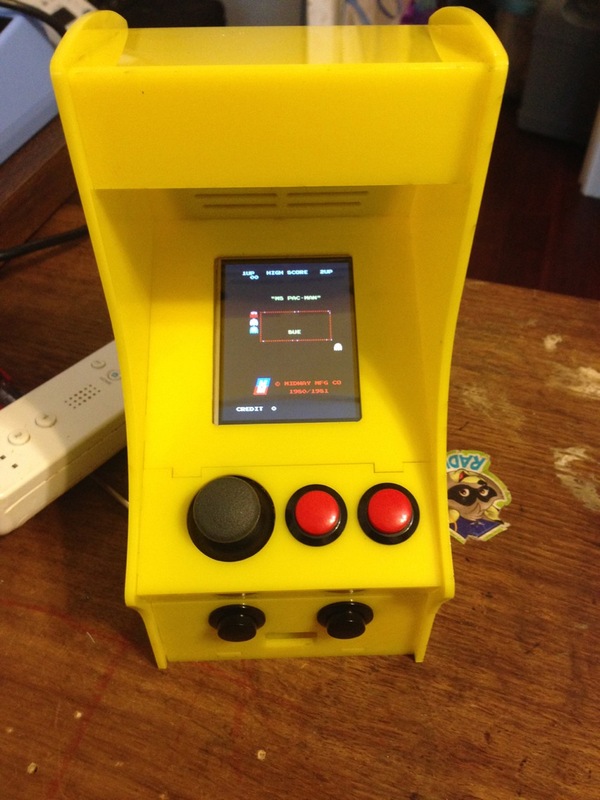 Completed Cupcade – The mini Arcade with a Raspberry Pi @Raspberry_Pi #raspberrypi « Adafruit Industries – Makers, hackers, artists, designers and engineers! Just wanted to let you know I completed mine and it’s in working order. Didn’t have any problems at all as the directions were great and had experience with this “type” of case with the ice cube clock. 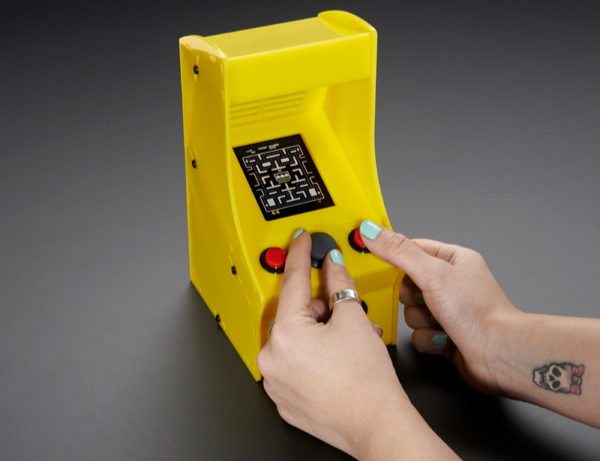 NEW PRODUCT – Cupcade: the Raspberry Pi-Powered Micro Arcade Cabinet Kit – Beta: Never be bored again with an adorable little arcade cabinet you can fit in your bag! 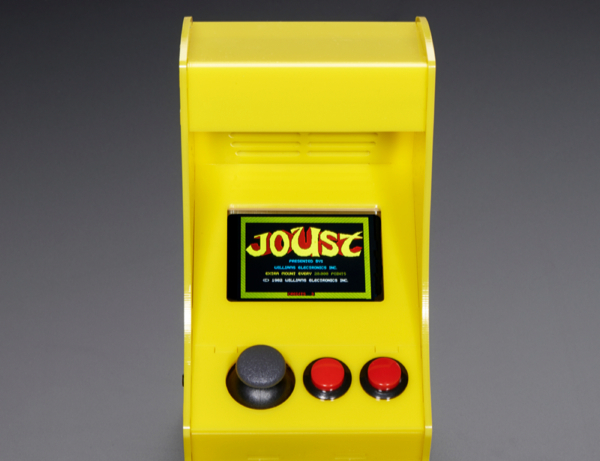 This Raspberry Pi-powered kit combines our sharp PiTFT 2.8″ display, mini thumbstick, and mini arcade push buttons and a whole bunch of components to create the most adorable MAME cabinet in the known universe. 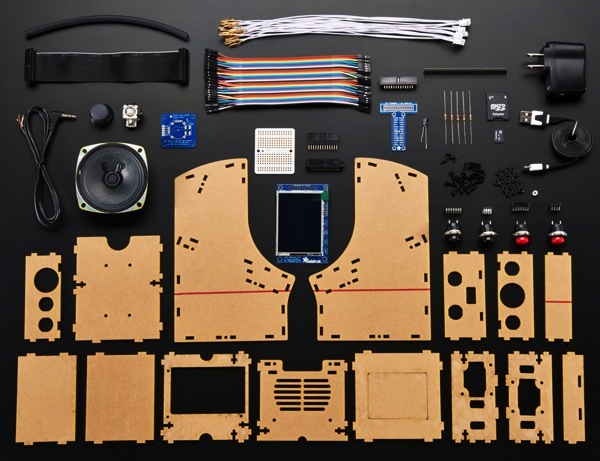 Comes as a big kit with lots of parts including all electronic components, the laser cut case, power adapter, and a pre-burned SD card that is plug-and-play ready. You provide a Raspberry Pi model B, a soldering iron, solder, wire, basic electronic hand tools, tape, etc. This is the beta kit, which works great but is a little advanced and not good for beginners! We’ll be planning out a version with more of the circuitry pre-built in the future. For now we only recommend this project for people who have soldered before and even better, have a little Raspberry Pi/Linux hacking under their belt in case some configuration-file-editing is required. Give yourself a nice long Saturday afternoon to put together (about 4-6 hours altogether). Second: The SD card comes with a text-based MAME ROM selector screen that works in either V or H mode, with nicely printed out names and joystick/button selection.